Gfinity has revealed a return to the Call of Duty franchise. Starting with a London-based competition, the company will gather 16 professional teams and give 200 amateur squads to vie for a piece of the prize money. Today, February 4, Gfinity revealed that it will be hosting the third open event of the 2019 Call of Duty World League Season. The event will be held at the Copper Box Arena in London from May 3 through May 5. This Call of Duty: Black Ops 4 (CoD:BO4) event will be the first and last official qualifier for Europe in 2019, the official press release explained. The event is an official qualifier for the Call of Duty World League Championship, which is scheduled for August 2019. With its altered format & team composition, BO4 now pits squads of five against each other, changing it up from the previous iteration of the game where there used to be teams of four instead. Treyarch, the developing studio, introduced important changes to BO4 to streamline the competitive aspect of the game, stripping all restrictions from LAN and regional competitions. Competitive Call of Duty: Black Ops 4 kicked off in Las Vegas back in December, with OpTic Gaming coming on top of the competition after a somewhat rough WW II CWL Season. The Green Wall seem to be in a good position to climb to the top of the 2019 Season. Viewership for the game has kept steadfast, with Twitch esports hours reaching 1.1 million and the game ranking seventh as per Newzoo’s January 2019 Most Watched Games List. Gfinity’s announcement marks the first major Call of Duty tournament hosted by the company since 2016. 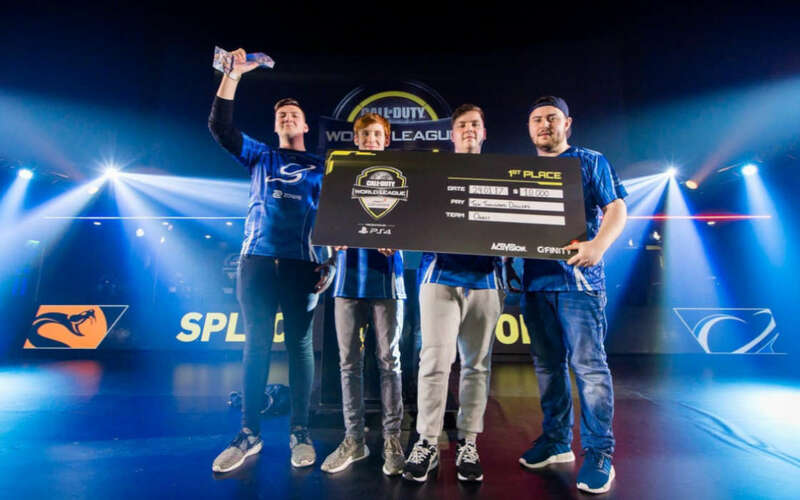 Call of Duty events took place at the Copper Box Arena in 2017, when teams had an opportunity to secure a spot in the next stage of the World League Championships in the Last Chance Qualifier in 2017. Gfinity will host a qualifying Black Ops 4 event in London in May. The even will feed directly into the World League Championship.